If you have just got a new Android or iOS device and you are clueless on what apps should be installed, you can reference the list of top apps that Google and Apple announce at the end of each year. It is not an exception this year as they have already announced the list. Some of the apps have just been released in 2012, some others just issued updates and brought a better user experience. It is not surprising that the list of apps include apps from many categories and they will be very helpful for users. Let’s check out the best apps of the year. Apple also announced their list of their best apps for iOS. iPhone app of the year is awarded to the video editing app Action Movie FX while Rayman Jungle Run grabs the best iPhone game of the year award. 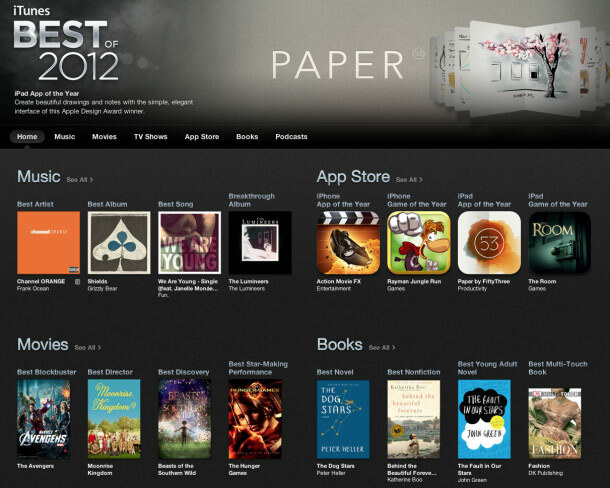 For iPad, the best app is Paper and the game of the year is The Room. Below is a wider selection of top apps from Apple.